Theresa May leaves an EU summit in Brussels last month. More than half of the people questioned for a major new survey think the UK would be better off economically staying in Europe – and a majority want to stick with the single market. In the Brexit survey of 2,600 readers of The Yorkshire Post, 53 per cent said Britain would be better off economically inside Europe. And 58 per cent said Britain should continue to be part of the single European market. The figures show a continuing split between those who voted Leave and those who voted Remain in the referendum. Among Leave voters, nine per cent think Britain is better off economically in Europe, while a fifth of these voters (21 per cent) think we should continue to be part of the single market. Remain voters are, unsurprisingly, much more likely to think continuing close ties with Europe is a good idea, with 87 per cent saying Britain is better off economically inside Europe and 85 per cent saying we should continue to be part of the single market. More than three-fifths (64 per cent) of those surveyed said they were not happy with the status of Brexit negotiations at the moment, with just a fifth (18 per cent) saying they were happy. The rest were unsure. Among those who said they voted Leave, 47 per cent are unhappy with the status of negotiations compared to 32 per cent who were happy. More than three-quarters (77 per cent) of those who voted Remain said they were unhappy, compared to eight per cent who said they were happy. Most of those surveyed – 87 per cent of Leave voters and 92 per cent of Remain voters – said they would stick with how they voted if the referendum was held again. Leave voters were more likely to say they would not vote in the same way now, with one in 14 Leave voters saying they’d act differently compared to one in 21 Remain voters. 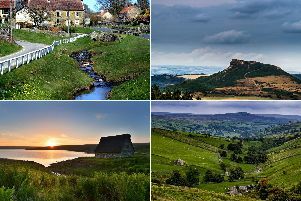 Readers of The Yorkshire Post were asked for their opinions on Brexit as part of a poll of nearly 220,000 users of Johnston Press, Newsquest and Trinity Mirror websites that was carried out in association with Google Surveys.